The Georgians belong to the race of those ancient peoples who, in spite of the hardest historical cataclysms, not only created original culture but carried it through the centuries and preserved its vitality and vigor.Georgian folk dance performs Georgian soul and history, gathering from each part of Georgia.These breathtaking and absolutely awesome dances represent a live history book expressing centuries of Georgian art, culture and tradition. Georgian Folk dances are famous around the world. Their magnificence and beauty cannot be forgotten by anyone who sees the dances. 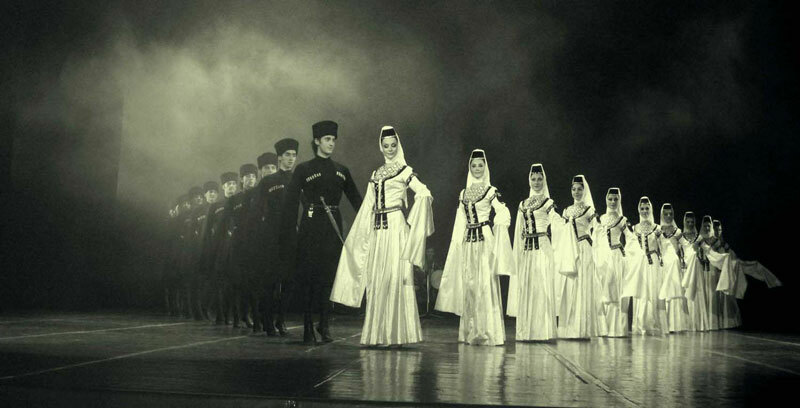 Many times Georgian dance groups, whether professional or amateur, have mesmerized the world with the beauty of their dances. The beautiful costumes blend history and art in one single harmony. This, coupled with at times seemingly rough and technical movements, leaves the audience in total awe. Georgian Folk dances give immense pleasure to not only the audience, but to the dancers also.Every dance is unique and performs actions such as wedding, war, competition, celebration, mountain and city life.